In this breezy round-up, we take a look at a few of the best social media & sharing plugins available for WordPress. These days, social networking and sharing is essential to the success of most online businesses, and these plugins will encourage visitors to engage with you on social media and share your content with others. When selecting these plugins, we looked at the depth of the features, the quality of their design, and usability/UX (including performance). Some are basic implementations, offering little more than sharing buttons, and others pack in functionality like advanced analytics and extensive customization options. 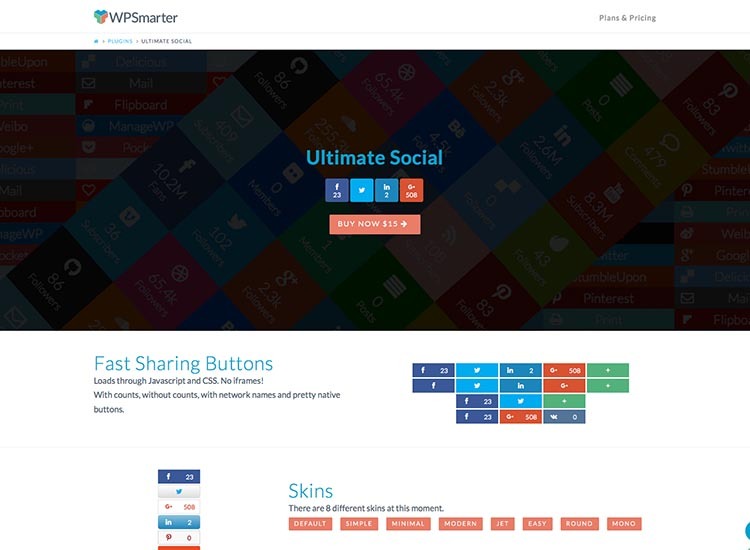 We’ve included both premium sharing plugins and free sharing plugins in this list. Most of the premium solutions are affordable, or offer a free, basic version of their plugin to try out before ponying up for a subscription. Before we get started, if you’re not wedded to WordPress, you may want to consider using a cloud based website creator. Check out our comparison of WordPress, Wix, Weebly, and Duda. 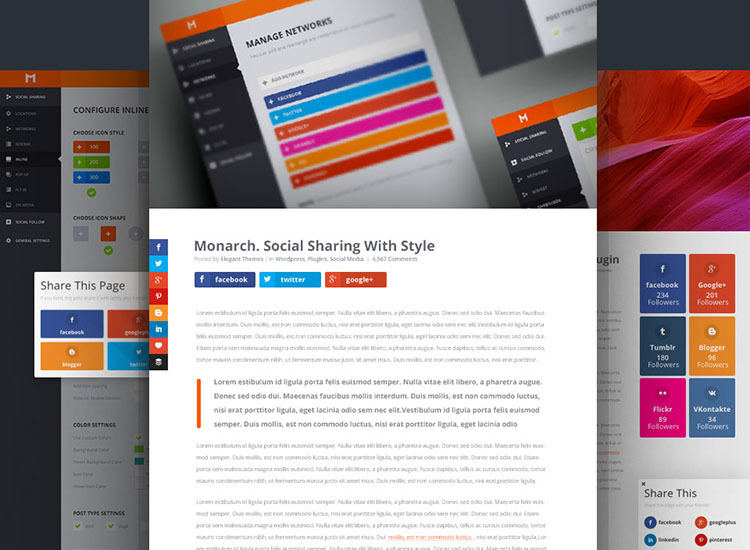 Monarch is one of the highest profile social & sharing plugins currently available for WordPress, and even if it sucked – which is surely does not – it would have a lot of users if only because it was developed by the renowned and popular ElegantThemes. This is a comprehensive solution that’s easy to use but doesn’t skimp on features; the plugin supports dozens of social networks, multiple locations for the sharing buttons (floating, above & below content, on images/videos, popups, fly-ins), and plenty of style options to help you match the buttons with your website. What really sets this one apart is the statistics. If you’re running a business, you will want to know (in one place) how well your social strategy is working — and Monarch has an excellent dashboard with plenty of ways to view your data, as well as export options. Although this is one of the premium options, it’s worth noting that an ElegantThemes subscription also gets you access to all of their products, so it’s a pretty good deal. Although it has potential to be one of the pricier commitments, Social Warfare is a very popular social sharing plugin amidst small-medium sized publishers. Social Warfare is expertly coded, user-friendly, fast and lightweight, and it includes useful features like detailed analytics/tracking and Twitter cards. There are plenty of statistics and tracking in this one, as well as an API for developers, and much much more. We highly recommend it. One of the benefits of a paid solution like Social Warfare is that its consistently supported and updated. With some exceptions, premium plugins have a tendency to be more reliable and fine-tuned than their free counterparts, and Social Warfare is a pretty good example of this. 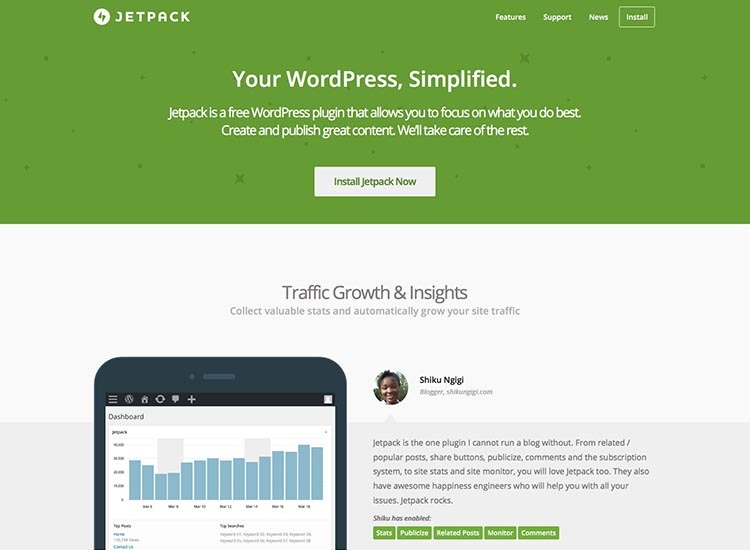 You probably already know Jetpack, but we feel compelled to include it anyway. It’s a favorite – tried, tested, and true, as they say. It gets the job done and does it well. And of course, support is excellent. If you’re already taking advantage of other Jetpack features, there’s no reason not to rely on its sharing features too. Good stuff. 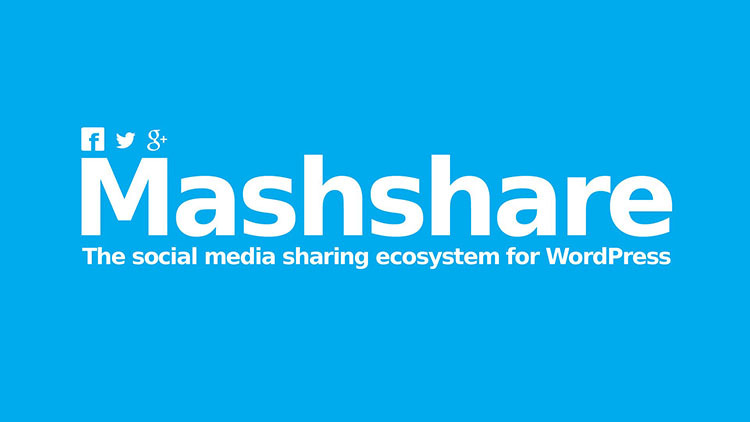 With over 30,000 installs, Mashshare might be the best free option for webmasters looking for bit more than basic functionality. Speed and usability is one of its claims to fame: no external scripts are loaded and sharing buttons are smoothly integrated. The plugin is also reasonably extensible, and offers plenty of room for customization. Paid add-ons are available. This is the plugin has all of the social functionality you want. Sumo doesn’t stop at social networking, though: there’s a ton of add-ons available that cover a lot of ground, from contact forms to Google Analytics integration. Some of the add-ons are are paid/premium, but many of the most useful ones are completely free (including the sharing and social media bars & buttons). 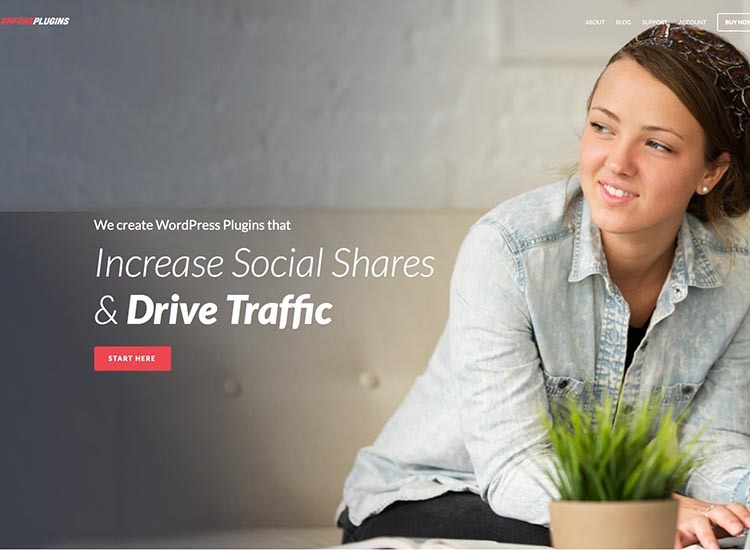 Ultimate Social Deux is one of the best-selling social plugins on CodeCanyon, and one of the best-selling sharing plugins for WordPress in general. It’s been around for a couple years, and with constant updates it keeps getting better and better. Integration with ubiquitous plugins like WooCommerce and BuddyPress is welcome, and the depth of customization options (including 8+ preset skins) provides flexibility in style and design. This is also one of the most affordable premium options at $20. 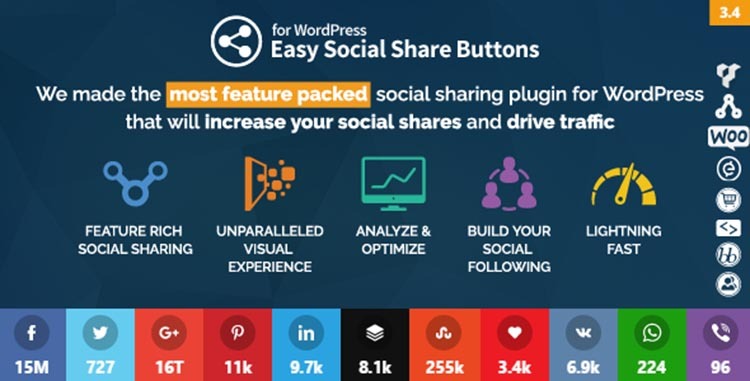 With nearly 15,000 users, Easy Social Share Buttons is the most popular social media and sharing plugin around. If you’re feeling overwhelmed by the number of options available, and don’t have any out of the ordinary requirements, just go with this one. It’s $19, and it’s the cream of the crop. There’s so many options and features that it’ll almost certainly do anything you need it to do. If you’ve got a few moments, we recommend clicking through to have a look at the full run-down. I don’t think there’s currently a more versatile plugin out there. We used Shareaholic on Siteturner before switching to SumoMe. It’s a good plugin, and well-regarded by the WordPress plugin — it simply lacked a couple features we wanted. But Shareaholic has something going for it most others do not: the opportunity to further monetize your site by displaying links to external content (and receiving $$$ for clicks). AddtoAny must be one of the earliest companies/services to provide sharing features for WordPress and other content management systems. I used their Drupal plugin years ago, when I developed and sold premium Drupal themes. The fact they’re still going strong despite a sea of competitors rising up around them shows that their straight-forward, user-friendly approach to social media still works great. 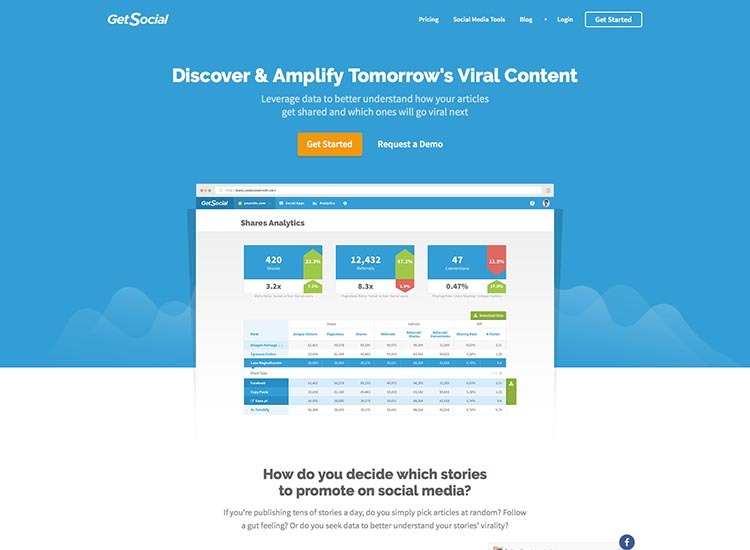 Data-minded publishers will probably find GetSocial the most attractive social sharing plugin for the tracking and analytic tools it offers. There’s a basic, free option available, but to get the most out of it you’ll want one of the subscriptions providing real-time reporting. 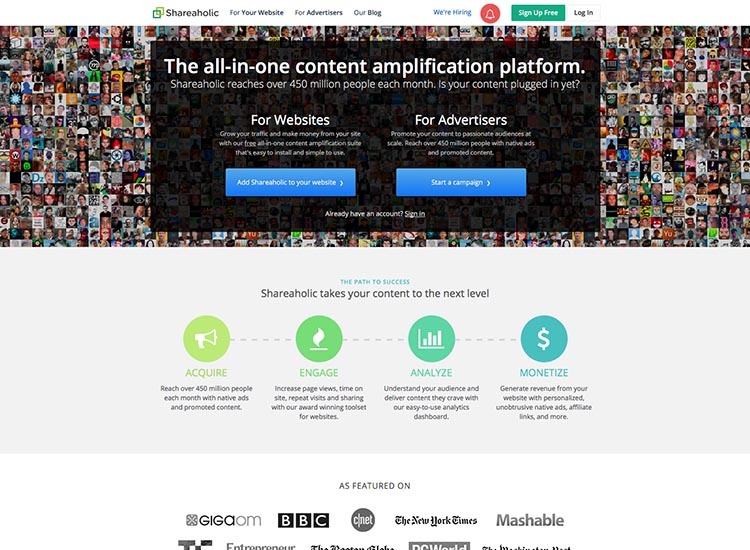 They’re pricey, but could prove invaluable to medium to large sized publishers and bloggers. When we first heard about the need for setting up a chat on our sites, we were a bit skeptical. Who would use it? What’s the point? But we decided to try it on a shopping site, and we were shocked at the results. People were actually using it, and although we haven’t directly measured conversions due to the chat, anecdotal evidence seems to show it’s helping. WP-Chatbot makes it really simple to add a chat using Facebook Messenger to your site, and you can be up and running with a messenger chat in no time. This one’s definitely worth a look! And that wraps up our look at a few of the best social media & sharing plugins available for WordPress. Hopefully you found it useful, and saw something you liked. If, instead, it left you angry and disappointed, by all means, let us know in the comments below. There are many Social Sharing Plugins For WordPress available which you could use on your website. I have been using ultimate social deux, but seems like there are few more excellent plugins, I would love to give them a try. Great list! I recently started using Monarch and really like it. There’s a couple I never heard of and will definitely check them out – thanks for sharing! +1 for Ultimate Social Deux – great plugin! I don’t know how I missed to check this helpful post. This is what I really searching for my new blog. Actually, I wanna go with 2 or 3 plugins because I want to invest in sharing stuff. Thanks for presenting this valuable post for WordPress users. Nice overview of the best Social Media plugins in 2016, thanks for that. I found some new useful tools like AddToAny, to optimize my blog with sharing buttons. You also list several tools for social media sharing, but have you heard of Blog2Social? I would strongly recommend it, because it really makes my blogging life much easier. I’m using it, because you can schedule and customize your posts individually for each network and then send them automatically to all of your networks in one easy step. That’s helpful to save valuable time.